I arrived at Bluesfest 2017 today. After setting up the van I went looking for something to photograph before the music starts tomorrow. These are the rainbow tipis which have provided alternative accommodation for festival goers for the last 3 years. 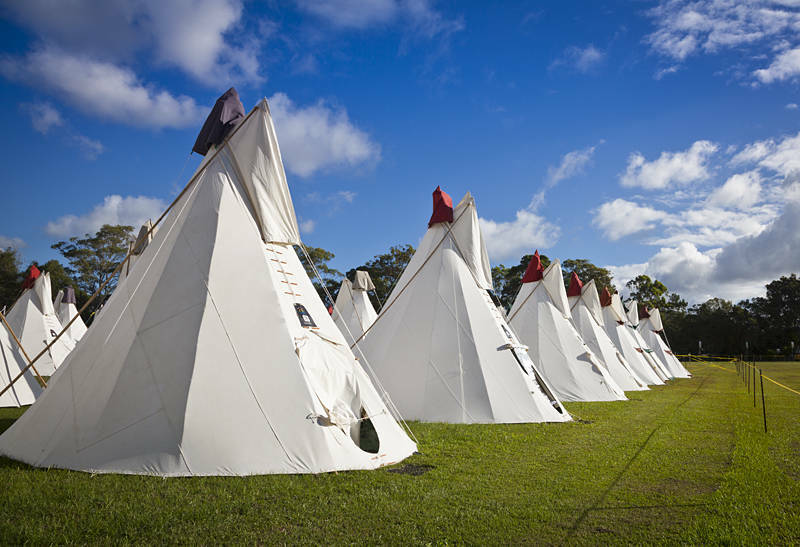 They are based on traditional sioux style tipis of the native americans and have been refined by Ray Brown to suit the australian climate. We look forward to seeing your captured moments from the performers. Have fun.